SALMON, Idaho (Reuters) - U.S. fisheries managers have unveiled a plan seeking to restore dwindling runs of salmon and trout that migrate 900 miles up the Snake River from the Pacific to spawning grounds in Idaho while leaving intact their greatest barrier - four hydropower dams. The recovery plan, proposed on Thursday, calls for a myriad of measures to ease the increasingly treacherous passage of spring-summer Chinook salmon and steelhead trout through the Snake, a major tributary of the Columbia River in the Pacific Northwest. The proposal hinges on a combination of efforts that include improving stream habitat, enhancing water quality and installing structural dam modifications along the Snake River system. Such measures are designed to give newly hatched fish a better chance at making the journey downstream to the ocean and enabling greater number of adult fish returning from the sea to fight their way 7,000 vertical feet back upstream to spawn. Environmentalists have pressed for dam removal as the ultimate solution to salmon and steelhead recovery. The plan represents the latest effort by the National Oceanic and Atmospheric Administration to stem the decline of the salmon and steelhead runs, ultimately paving the way for their removal from Endangered Species Act protections. Snake River spring-summer Chinook were listed as threatened in 1992 after scientists determined the salmon's annual run in the Snake River had dropped to 100,000 adult fish from more than 1 million, according to the NOAA Fisheries agency. 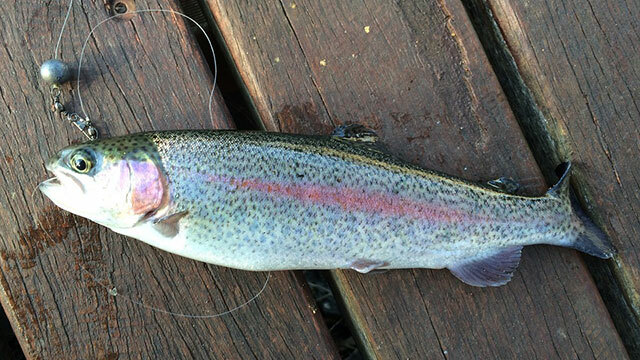 Severe declines in Snake River steelhead, or ocean-going rainbow trout, likewise saw them listed as threatened in 1997. In addition to physical obstructions posed by four federally operated dams and reservoirs along the Snake River, salmon and steelhead populations have been diminished by water pollution from mining and farming, and reduced stream flows associated with diversions for irrigation. Some populations of spring-summer Chinook in the Snake River watershed, including runs that once crowded a tributary creek of the Salmon River in Idaho, have vanished. The cost of implementing the proposed recovery measures is estimated at $139 million, according to Rosemary Furfey, the Snake River recovery coordinator for NOAA Fisheries. The plan came under immediate fire from conservation groups, which faulted the measures as failing to more fully account for the pivotal role dams play in the deaths of fish populations. “We’ve got 20 years of mounting science that the dams are the biggest problem and that dam removal is the surest way to recover the species,” said Idaho Rivers United spokesman Greg Stahl.